Aligning almost perfectly with this shift in music distribution, today the indie folk band, Little May, are releasing their newest single “Home” to the masses of music lovers in the U.S. and you can’t get much more far apart than Australia to North America! 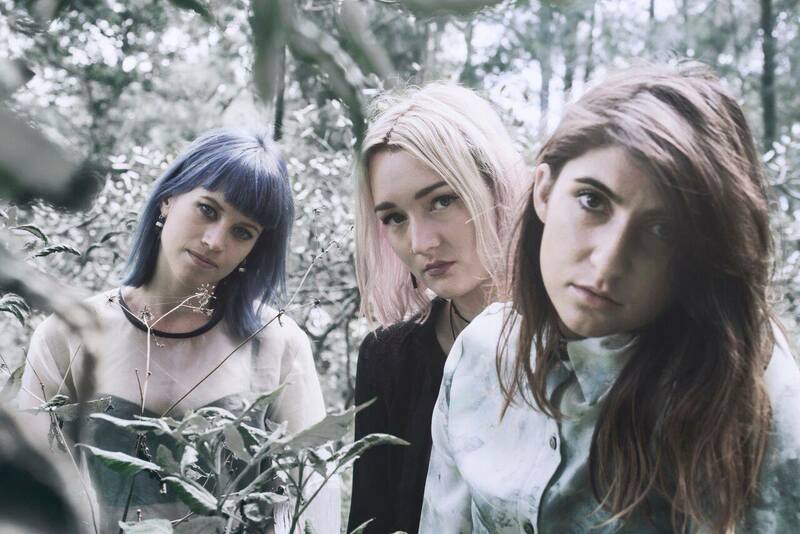 This trio of talented women from the capital city of New South Wales, has been subtly building up the amount of attention given to their music since forming Little May in late 2012. The building blocks of what makes these auspicious Aussies worth watching – even from as far away as the northern hemisphere – is the way the group almost instantly casts off uncertainties or limiting expectations that accompany the surface level descriptions of who and what Little May are –both practically and melodically. It may be easy to say “indie folk trio” but it won’t be nearly as easy to articulate the feelings that surface once their new song is in play. Give a listen to “Home” through the official music video below! Currently standing as the lead single for Little May’s imminent full length debut due later this year, for existing fans, “Home” is like a fresh bud coming to bloom on a beautiful plant that one has already come to enjoy having around to brighten their surroundings. Such a thing is recognizable and more of what one already loves but, is simultaneously its own entity; showing nuances of change and maturation that are often hard to catch if not watching closely but amazing to witness as a band’s ideas unfold from one project to the next. That said, new listeners just finding their way to “Home” lose nothing with an absence of sonic precedence. Little May’s elegant but assertive delivery of all parts, instrumental and vocal, is like the reliable and unmoving mast on the gently floating ship that has carried each of the band’s musical works thus far. It continues to stand tall on “Home;” perhaps even slightly rising in power on this track, as the dance between delicate and emphatic plays out on multiple levels. Guitars, both electric and acoustic, mesh gracefully in the trio’s arrangement alongside the stark singularity of Field’s vocal part, which skates atop low piano chords and higher range see-sawing octaves (these two parts contrasting as well, with more and less sustain respectively). All of this weaving about amidst a distinct three-hit pattern of kick-kick-snare played by band drummer, Cat; commanding an edge from below and keeping “Home” far from folk peers of a more straight wispy stereotype. After confidently settling people in for the ride, Little May take listeners beyond an already appealing foundation with an abundance of bells and whistles, though none weigh the song down or overload it in a mindless way. Throughout the 3:47 video, there is a variety of lovely supporting instruments that take “Home” from pleasant to pleasantly sophisticated. Subtle beeping synth tones are sprinkled in the introduction, organ slides in during the second verse (a nice touch given that Little May spent time working at a church-turned-studio in upstate NY) and the chorus, (“I don’t think we’ll ever know til we get home.”) which is what listeners will undoubtedly be singing to themselves afterward, hears a doubling of the vocals and a start to harmonization. Meanwhile, a lone tambourine shake on the downbeat temporarily replaces the heartbeat hit pattern before stepping back so the percussion can double time it in the third verse, giving the song an illusory feel of quickening. This shines through as particularly clever when considering the first two lines in the final verse (“Jet setter I think I better go / It’s been five years waiting for the snow), echo the sentiment behind constant, rapid travel and is something Little May found worth mention in the third and first verses. When this part of the track kicks in, Little May very confidently take an approach of gradual building on every front: More backing instruments pour in, the girls’ adeptly intertwined harmonies become more prominent, the latter half of the chorus is sung on repeat (“Til we get / til we get / til we get / home”) and the song as a whole turns up the volume, reaching a classic but nonetheless satisfying tonal apex, all before dropping off in the last 10 seconds, when Field – accompanied by a mere two piano chords – sings the full lyric line, leaving “Home” feeling like a petal in the wind, traveling toward a its destination. “Home” feels like a refined ‘ballad with a backbone;’ one that orbits a wistful sadness but has no intention of bringing listeners down, during or following the song. Instead, thanks to the tonal strength infused in this track, after becoming aware of the sadness laid into “Home,” listeners are liable come away with a sense of empathy for the mood it offers, rather than a straightforward assimilation thereof. In this way, the single is bound to be just as good for repeated plays as any of this year’s poppy summer beach anthems. “Home” is available in the U.S. now! Get in through iTunes or stream it on Spotify.